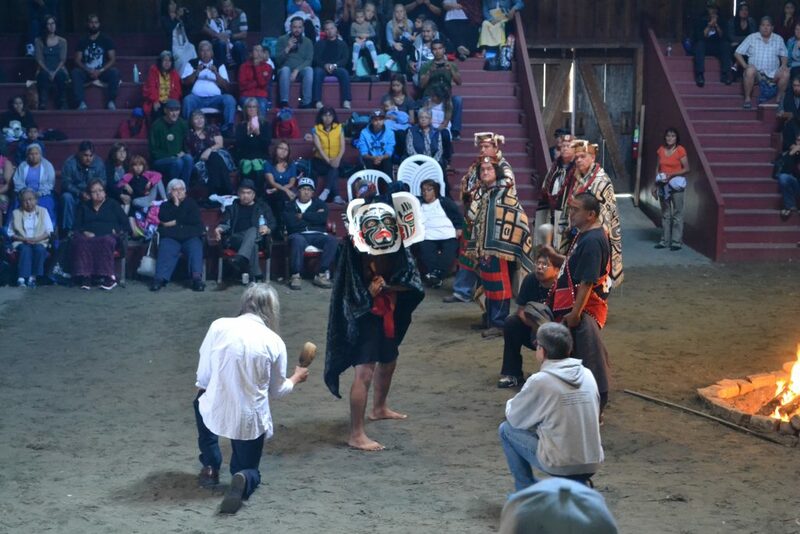 In September 2016 the Skullcracker team were invited, through Steve and Beau, to attend the potlatch ceremony of Kwakwaka’wakw Chief Alan Hunt at the Tsaxis Big House, Fort Rupert. Alan is a descendant of George Hunt, Franz Boas’s famous research assistant and co-director, with Curtis, of In the Land of the Headhunters, whose father, Robert Hunt had worked for the Hudson Bay Company. 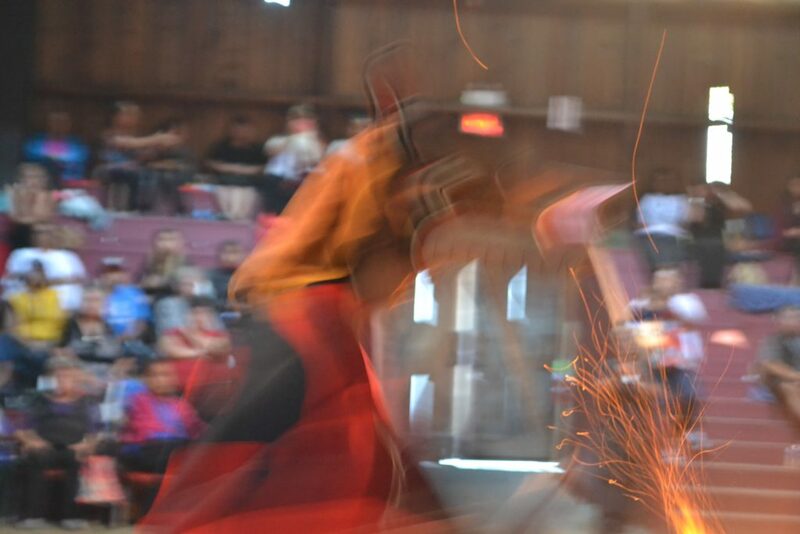 Alan, like Beau, is a master carver, dancer and singer. 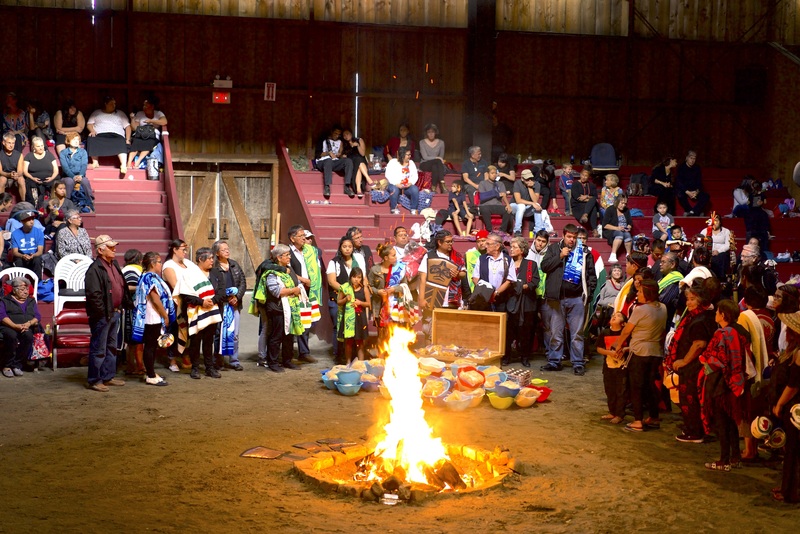 He is also an expert in the work of Boas and Hunt, which has been a major resource for Kwakwaka’wakw cultural resurgence since the 1950’s. Steve Calvert, Gregoire Dupond, Stephanie Moran and myself were graciously allowed to document much of the 14 hour ceremony, which included the dance of the giant cannibal birds, the initiation of Chief Hunt’s brother Jaden into the Hamatsa secret society, and the dancing of several new masks recently created by Beau and Alan. This was an incredible honour for us all, to which we offer our sincerest thanks to Alan, Beau and Steve. 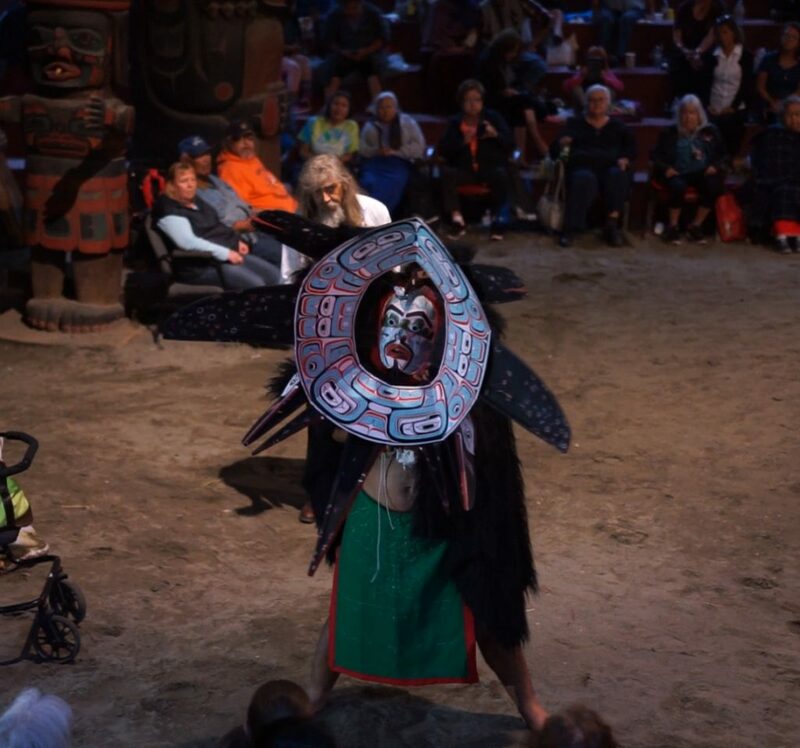 I am currently working on a complete edit of the ceremony which will be used for educational purposes in the Alert Bay and Fort Ruper communities. 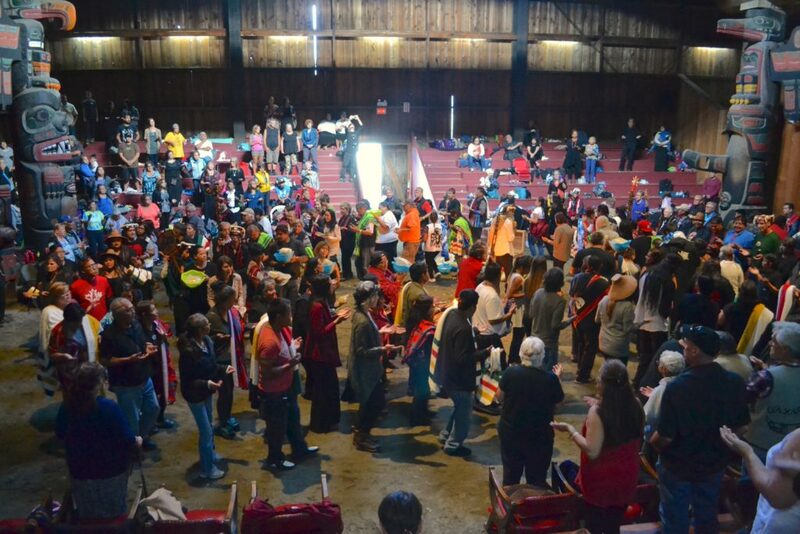 Here are some images and a video sequence from that day. 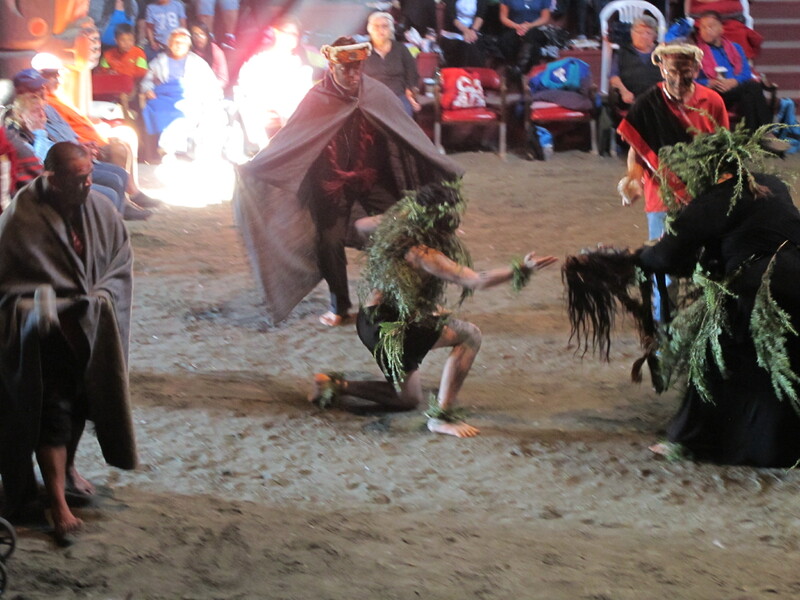 The video sequence shows the Hamsamala Dance (Dance of the Hamatsa Masks) which represents the three giant “cannibal” birds, the assistants of Baxwbakwalanuksiwé, Man-Eater-At-The-North-End-Of-The-World. 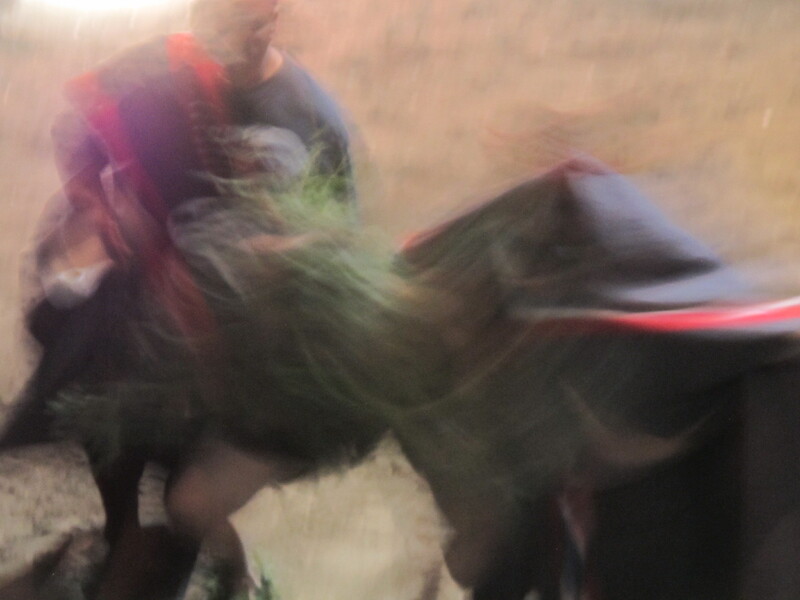 They are Qoaxpoaxualanuxsiwae (Raven-of-the-North-End-of-the-World), Gelogudzayae (Crooked-Beak-of-the-Sky) and Hoxhogwaxtiwae (Hoxhok-of-the-Sky). 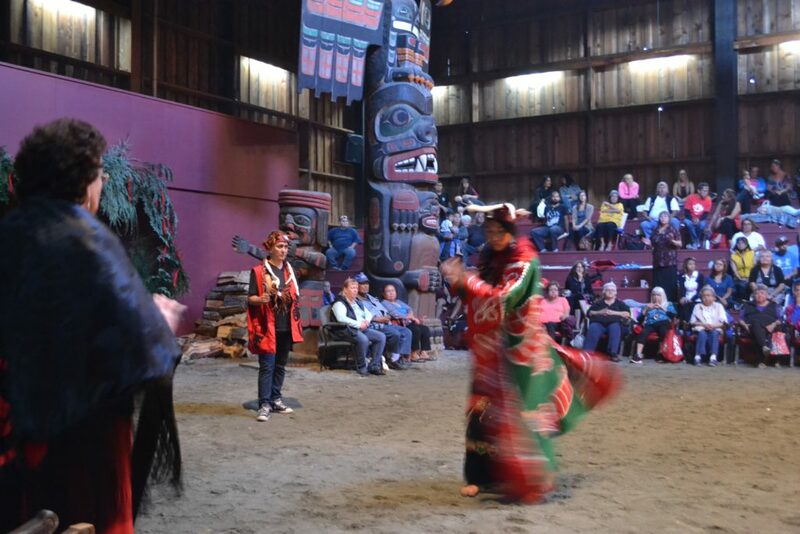 This dance is performed at the culmination of the Hamatsa initiation ceremony.